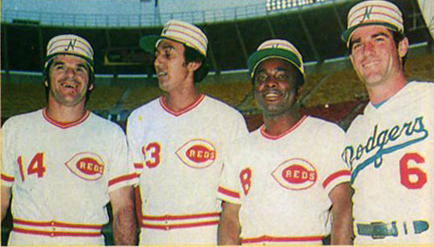 Remember how several National League teams wore those striped pillbox caps during the 1976 season? 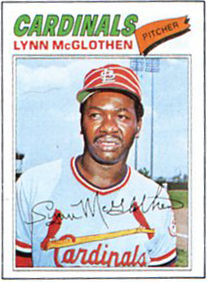 In addition to the Cardinals (who even had striped helmets), other teams wearing this style for at least some of their ’76 games included the Mets, Phillies, and of course the Pirates, who liked the pillbox design so much that they kept it for several more seasons. Most NL teams didn’t do the pillbox thing, however, including the Expos — or at least that’s what I thought until a few days ago, when I got the following note from Joel Kirstein: “On the last day of the 1976 season — at the last game at Montreal’s old Jarry Park, Sunday, September 26th, 1976 — the Expos wore white throwback caps, with three stripes that circled the cap. Quite a departure from their patented tricolor beanies.” Kirstein doesn’t have a photo from this game, alas. Anyone got any visual confirmation of this? That might have gone down as a simple Ticker item, except that I turned up lots of other stuff along the way. 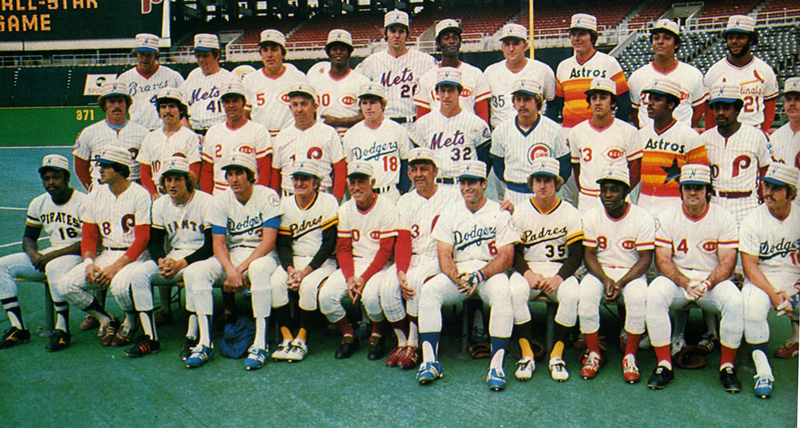 I vaguely remembered, for example, that the 1976 National League All-Star team had worn pillbox-styled all-star caps — or at least they’d worn them in the locker room, during pregame warm-ups, and for the team portrait. But did they wear them in the game? 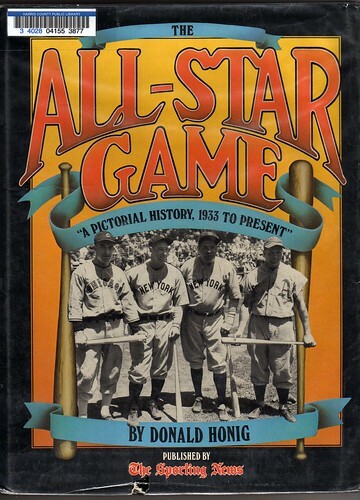 I didn’t think so, but I couldn’t find a photo — until I remembered that I’d just gotten a used copy of this book, which includes this photo from the ’76 ASG, showing Bill Russell clearly wearing a regular Dodgers cap. So in retrospect, the white pillbox all-star cap was essentially MLB’s first batting practice cap. But wait a minute — Kirstein said the Expos wore “white throwback caps, with three stripes that circled the cap” on the last day of the ’76 season. Sounds an awful lot like these, no? Hmmmmmmm. This merits further study. 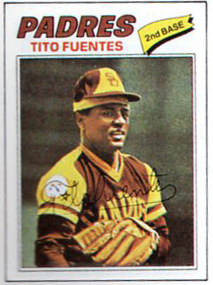 • Tito Fuentes wore a huge headband in 1976. 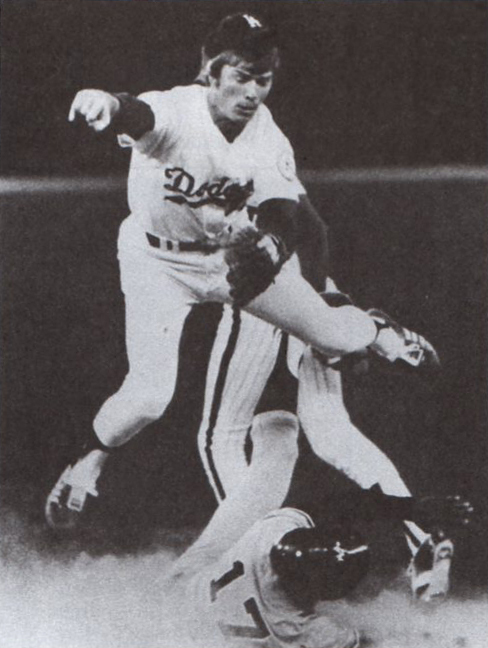 • I’d forgotten that Lee Mazzilli had worn eyeglasses early in his career. 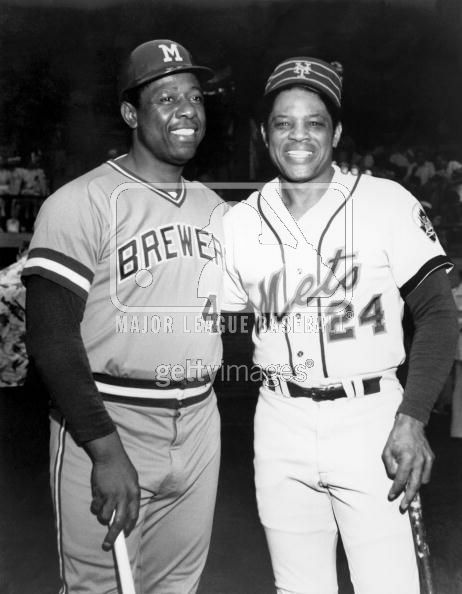 FLUSHING, NY: Hank Aaron #44 of the Milwaukee Brewers poses for a portrait with coach Willie Mays #24 of the New York Mets circa 1975 at Shea Stadium in Flushing, New York. Aaron played in Milwaukee for the Brewers from 1975-1976. 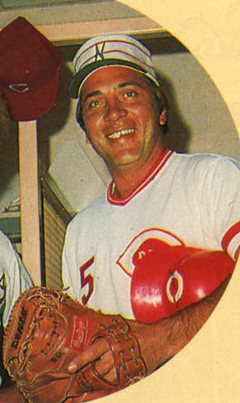 Mays coached for the Mets from 1974-1979. The photo is actually from ’76, not ’75, as evidenced not only by Willie’s cap but also by his left-sleeve armband, which the Mets wore in ’76 to memorialize Joan Payson and Casey Stengel. But either way, it still doesn’t explain the jersey. Another subject for future study. Membership News: Trading deadline? Yeah, whatever. The real last-minute scramble yesterday involved the Uni Watch Charter Membership deadline, which provoked a furious scrum of activity as dozens upon dozens of readers signed up. I normally add new members to the roster as the orders come in, but that protocol was blown out of the water by yesterday’s unprecedented avalanche of enrollees — I gave up trying to keep pace sometime in the afternoon. I’m going to be off the grid for most of today, and much of tomorrow is already spoken for, which means I probably won’t get caught up processing everything until the weekend (and who knows how long it’ll take poor Scott to design all the cards!). So if you signed up yesterday and don’t yet see your name on the roster, don’t fret — it’ll be dealt with soon-ishly. If you have any outstanding membership-related issues — like if you asked about a certain design and haven’t heard back from me, or you had some special circumstance that merits an exemption from the deadline — please-please-please don’t send me any e-mails about that today. I won’t be anywhere near a computer for most of the day. I promise that each and every concern will be addressed, but just give me a couple of days to catch up with everything first. Obviously, a slew of membership orders is a nice problem to have — mega-thanks to everyone who signed up, and for the very kind comments many of you included with your orders. As I’ve said many times before (but it bears repeating), a writer couldn’t dream of having a better readership than you guys. While this batch will take a while to process, I’m happy to report that about 50 membership kits from the last batch went out in yesterday’s mail. And, of course, while the Charter Membership period has ended, new membership orders are still welcome. Keep ’em coming. Anybody know if the Mets pillbox hat can be purchased? 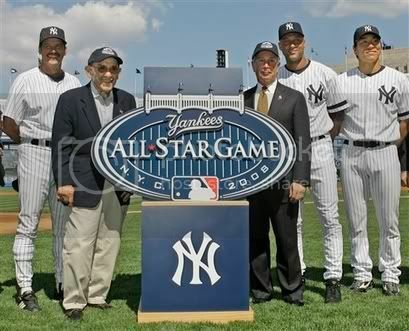 I’m a Red Sox fan, but even I like that ASG logo. It it understated and classy, which is a nice departure from recent ASG logos. 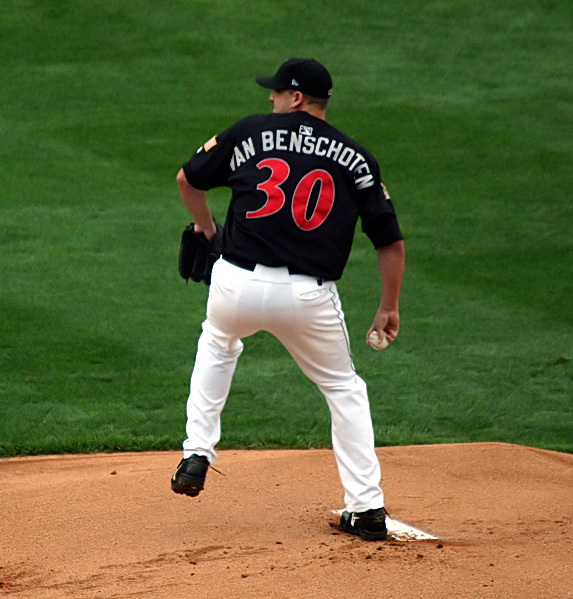 In recent years the BP Jerseys,Caps and other memorabilia are designed around the hosting team’s colors . That means we should be in store for a less hideous ASG next summer. About Lowry’s 22: Lowry, a SF Giant, is “mourning” the departure of now former teammate Matt Morris, soon to make his Pittsburgh Pirates debut. This is a pretty common practice, as I recall the 2004 Dodgers wearing 16 for Paul Lo Duca, who had been traded to the Marlins. Looks like Mark Teixeira has #24 for the Braves…for the moment. On the Aaron/Mays photo, just a guess, but since the photo is black and white, is that the Mets’ 1974-77 gray road uniform Mays is wearing? Aaron is definitely wearing the Brewers’ powder blue, so the gray would appear lighter next to the powder blue. found one at an auction site….but it is really pricy, not a replica. I know, the franchise was not even 20 yrs old, but remember the first few years the mets were stacked with Vets at the tail end of their career. On the Mays/Aaron photo. Milwaukee was still in the American League in the 70’s. 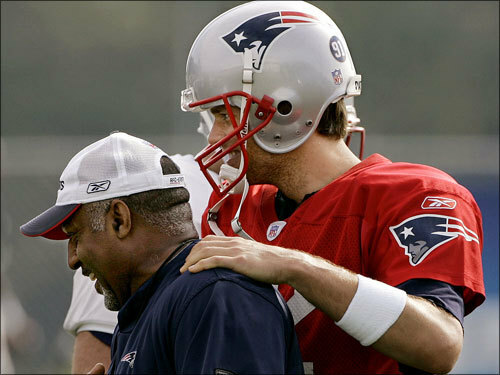 What would have brought them together for a picture like this unless it was Spring Training. I like the Eddie Gaedel card. I don’t, like, however, the striped Phils pillbox hat. Especially if they wore it with the vertically striped set. Thanks to the one guy for your opinion on my stirrup idea. I guess nobody else cared. . . .
You can try Mickeys Place in Cooperstown for the mets Pillbox cap. They don’t have it on their website, but I bought one there a few years ago. 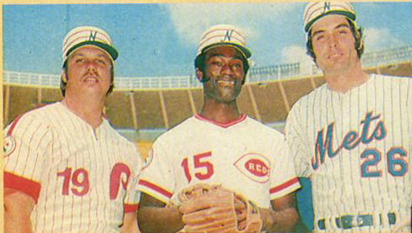 As for the photo, that is clearly just an overexposed photo of Willie wearing the Mets road jersey. Why Willie and Hank are both wearing their road jerseys is not clear to me. Was it just me, or was the website not working for much of today? Perhaps this blog entry deserves a do-over…re-run this tomorrow? [quote comment=”127112″]You can try Mickeys Place in Cooperstown for the mets Pillbox cap. They don’t have it on their website, but I bought one there a few years ago. This Nines picture suggests you might be right. Good call, perhaps. And from yesterday’s comments, there was something saying that the new Canucks sweater was going to unveiled today. Anybody get any pics or hear anything about that? 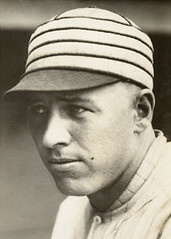 [quote comment=”127112″]You can try Mickeys Place in Cooperstown for the mets Pillbox cap. They don’t have it on their website, but I bought one there a few years ago. 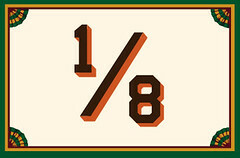 [/quote]You can also order one through the Cooperstown Ballcap Company. I have a 1972 Braves cap from them, and I am very happy with it. What’s going on in the Bill Russell picture? What’s the torso-less Phillie doing right behind Russell and tangled up with the baserunner? Re: Hank/Willie pic…did the Brewers wear those block M caps? It looks like a Milwaukee Braves cap but I’m no Brewers expert. The Canucks site still has the old jerseys pictured. FYI, I couldn’t get on here all day until I Googled “uniwatch” and was able to get to a link from June, then hit the Home link. Of course if you’re reading this you got here fine. nothing on the Canucks site or NHL.com, nothing coming up on Google, nothing on espn. Pretty safe to say they haven’t been unveiled yet. yeah, internet explorer refused to load the site, but i’m on firefox now and it seems to be working fine. the lack of comments seems to show that i’m not the only one with this problem, but i’m one of the lucky few who thought of how to get around it. and the canucks jersey was photographed privately today, and our only hope to see it before training camp is if someone leaks some photos. here’s hoping! I had been trying to get on the site all day with only firefox and it hasn’t worked until now. Not sure if it’s been posted anywhere on here but Saint Mary’s College of California has replaced their stacked collegiate monogram SMC with a new logo. I’m personally not crazy about it. I just now managed my way on, 12:16 mountain time. The Mets trained in St. Petersburg while the Brewers were in Sun City, AZ. So that rules out Spring Training. [quote comment=”127277″]Not sure if it’s been posted anywhere on here but Saint Mary’s College of California has replaced their stacked collegiate monogram SMC with a new logo. I dunno, I kind of dig it. Dayum…You mean we probably won’t get asked about the Bucs fonts on their practice jerseys today? That’s a sweet new logo. Simple, but a little panache to make it interesting. Here’s my contribution from the NCAA: The Indianapolis Star reports that IU will honor the late Coach Hoeppner with a patch/decal of some sort on their helmets and jerseys. It seems the team gets to pick the design, which hasn’t been revealed. A sensible approach, in my estimation. If it were me, I’d go with a simple “Hep” in white lettering inside a black oval or rectangle. I’d also wouldn’t mind seeing the “Play 13” rallying cry that Hoeppner brought to the program meaning, y’know, to play in a bowl game, which the Hoosiers haven’t done in forever. One final note: I’m glad to see all those that finally made it onto the site. Firefox wouldn’t load this page until one time — on a lark — I clicked “Try Again” and the page appeared. [quote comment=”127295″][quote comment=”127277″]Not sure if it’s been posted anywhere on here but Saint Mary’s College of California has replaced their stacked collegiate monogram SMC with a new logo. as far as the Bill Walsh tribute goes, given his total reinvention of that franchise, they should give him a permanent tribute like the bears gave Halas. Anybody seen the font used on the Tampa practice jerseys? Pretty crazy….. I hate for people to be disappointed…..
[quote comment=”127316″]Anybody seen the font used on the Tampa practice jerseys? Pretty crazy…..
SI has also posted their top 10 college football uniforms too, check it out if you get a chance. And is it just me, or is Kenny Rogers wearing a BP cap? Is this why the site was down? Probably, he was wearing an altered one last year too. Anyone know why the met’s man who runs this board didnt post anything about the YANKEES ASG coming up??? [quote comment=”127237″]Re: Hank/Willie pic…did the Brewers wear those block M caps? It looks like a Milwaukee Braves cap but I’m no Brewers expert. Ugh – that should be through 1977…. On the Mays/Aaron photo….funny little aside….Chris who used to own Mojo Guitars on St. Marks Place had what looked to me like a bonafide Mets road jersey from that time (#11 (Wayne Garret???). The thing is: the uniform was white…the only thing I can conclude is the powder blue (which I do believe was the Mets shade of choice at that point) was washed out. I have to think that because even the number font was the same one the Mets used for the road at that time (different from the home font). Anyhow, I’m not sure this is an Oldtimers Game because didn’t Aaron play in 76? Unless this is Oldtimers Day at Yankee Stadium in ’76. Does anyone know where I could find a 1964 New York Mets jersey with patch commemorating the 1964-1965 World’s Fair?